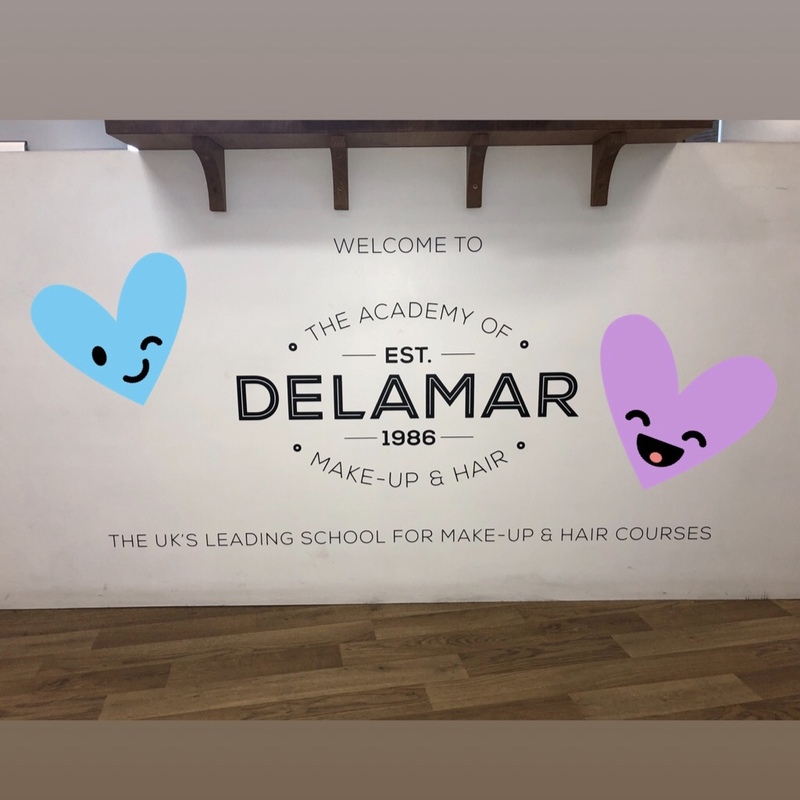 As the most established and successful make-up school, possibly in the world, Delamar Academy is always referred to as being ‘prestigious’. We are the only make-up school with graduates who have won Oscars, BAFTA’s, Emmy’s, Vogue Make-up Artist of The Year, Indian Academy Awards and Italian Academy Awards. Booking them is a tricky dance around their jobs from big feature films to magazine covers. Not teachers by profession; they are excellent artists who can also teach and form the backbone of our Academy. Our tutors provide many opportunities and give their all to our students. Our uniqueness is really hinged on the careers our graduates start through us. In the past 12 months alone we have placed graduates on big fashion shows, campaign shoots, Black Mirror, Britannia, Star Wars, Blinded By The Light, Dumbo re-shoots, Harry Potter and The Cursed Child, the Royal Wedding coverage in May, various secret Disney productions, The Crown… the list goes on. It is incredible. Many places claim to have an aftercare programme, but few deliver what we do each week. Once our students graduate, they become enrolled on our agency and the hard work does not stop to make sure as many Delamar graduates as possible, are working in the industry. You can read more about this here. The Delamar Academy network stretches far and wide! We are so fortunate to have #DelamarFamily in so many niche parts of the industry. Our tutors, master class hosts, graduates and even brands we work with are all responsible for enriching our school with events and opportunities. The benefit to being a sizeable hub means we have sizeable opportunities and receive many invitations to the best events. Just a few weeks ago, Alex Box gave us some guest tickets to watch her performance. You can read all about it here. We are situated in Ealing Studios, which are the world’s oldest working film studios. Home place to the birth of British cinema, Ealing Studios has been at the forefront of media revolution since 1902. Many Oscar winning films from recent history have been shot here, and the studios provide a creative community for different businesses to thrive. We have 24 hours security, a very fast (soon to be faster!) transport link into central London, beautiful spaces to relax and walk through, affordable accommodation all around and even the regular A list celebs spotted in the car park. We are so lucky to be where we are, and know our students enjoy our location too. We strive to constantly tweak and adapt our courses to be relevant. What does the modern industry require? What fashion make-up styles are dominating the catwalks? Which products are the best to use? Nothing is left to become redundant, no products are used where better ones have become available, and no classes are taught that are not important to the job of being a successful make-up artist today. We are exceptional at all of the areas we teach: Film & TV, Prosthetics, Fashion, SFX, hair, period make-up, wigs and beauty. All of it. Most/all other places you can go to train are focused on one area of the industry. Like Hogwarts, we teach all the magic. We have 6 classrooms and one big prosthetics workshop. Small enough to know everyone by name, big enough to feel inspired and invigorated by all the work going on around you. Delamar Academy’s reputation transcends continents, as we are very well known in India, America, Italy, Sweden, East Europe and France. We have an international intake each year of students who have left home and travelled to London to train with us. This mere fact alone is very humbling, and we do our best to connect graduates together when they go back to their native countries. Top make-up artist Penny Delamar founded the school over 30 years ago and her daughter, a former make-up artist, Leda Shawyer is now the Managing Director. Delamar Academy was an organic result of Penny teaching people for years in the back of a shop she shared with her husband, called “The Make-up Centre’. The need for teaching became apparent, and Delamar began as a small passionate hub where would-be make-up artists could train and be put in contact with the industry’s top employers. It grew naturally, on word of mouth and without any targets for numbers. We still operate in a similar way today, just with a snazzy website and social media accounts. We always will have the same values as we did at the very start – to train the next generation of make-up artists and help their careers develop. Despite the Internet changing the way we communicate, we still receive an impressive number of students on personal recommendation. As a family business, Delamar is not affiliated with, sponsored by or accountable to investors. We do this for a love of the industry; our course fees reflect the level of teaching, products and facilities. Our students are spoilt with master classes, discounts, complimentary products, prosecco and cupcakes… on a regular basis. We are lucky to have a huge network of industry friends to come in and provide thrilling master classes – you can read all about them here. We never charge and always try to get the latest products for our students. By Terry recently gave all master class guests a goody bag worth over £100, Fenty Beauty came in to deliver the first and only master class they have done in a make-up school, Bobbi Brown, Kevyn Aucoin and Delilah are brands who have all gifted our students the most incredible products, for free and with love. Top industry artists like Kristyan Mallett, Hannah Martin, Caroline Hirons, Mary Greenwell, Richard Redlefsen, Sangeet Prabhacker and Kate Benton have all been in to share their knowledge. On the 20th Anniversary of Titanic, top period make-up artist and designer, Tina Earnshaw came in before Christmas to recreate her work on Kate Winslet in Titanic. The students are thoroughly educated, indulged and often entertained by the larger than life characters that we host. Due to popular demand we have opened up more spaces on our August courses!